Home to numerous places of devotion and worship-not to mention exquisite art and architecture-Italy is the perfect destination for travelers looking to rejoice in their faith. On this Italy tour, you’ll overnight in Rome, the heart of Christianity; Assisi, where St. Francis was born, worked, and died; Florence, one of the world’s most beautiful cities; and Padua. Along the way, you'll visit-and even attend Mass at-many of Italy’s treasured basilicas. 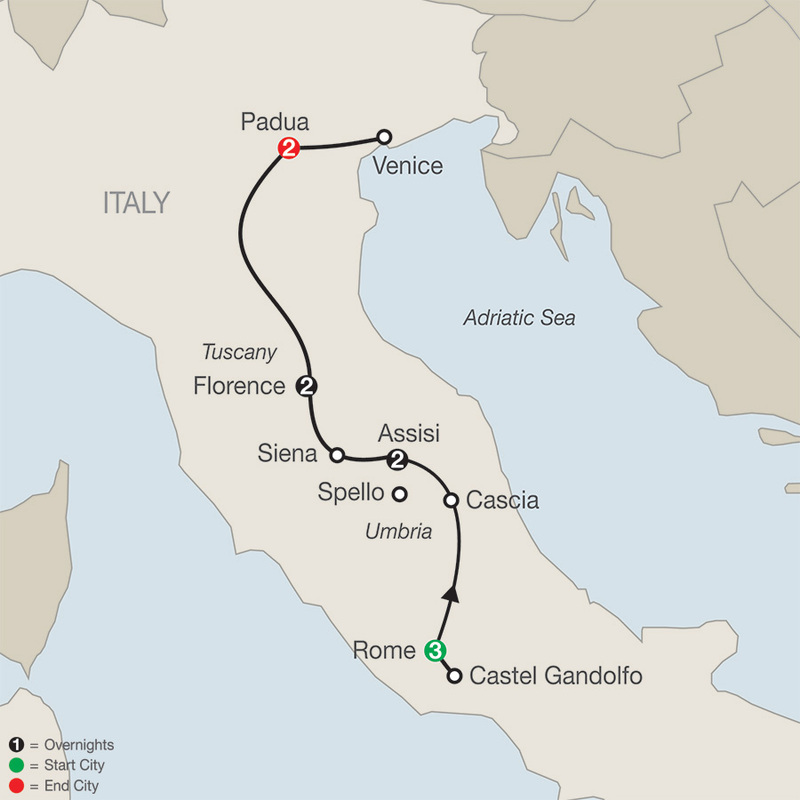 In Rome, you'll visit the four major Papal basilicas: St. Peter's Basilica, the world’s largest Christian church; St. Paul Outside the Walls, Rome's second-largest basilica and the burial place of St. Paul the Apostle; St. John Lateran Basilica, the Western World’s oldest basilica and the Papal residence until the 14th century; and St. Mary Major Basilica, the most important Roman church dedicated to the Virgin Mary. 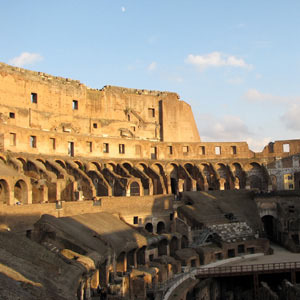 Also in Rome, you'll attend the Papal Audience (subject to availability), receive the Papal Blessing, and visit the Holy Stairs, brought from Jerusalem around 326 AD by Constantine the Great’s mother. In Assisi, in addition to St. Mary of the Angels Basilica and the Basilicas of St. Francis and St. Clare, you’ll visit the Monastery of St. Damian, a Franciscan shrine built on the spot where St. Francis heard Christ’s voice, and Carceri Hermitage, a peaceful oasis where St. Francis came to pray. In Florence, attend Mass at the Duomo, and see Santa Croce Square, with its Franciscan basilica. Finally, in Padua, founded more than 3,000 years ago, visit the Basilica of St. Anthony, dating to the 13th century. From Padua, an excursion to Venice includes a visit to St. Mark’s Basilica. These are just some of the many highlights on this inspirational Italy tour.